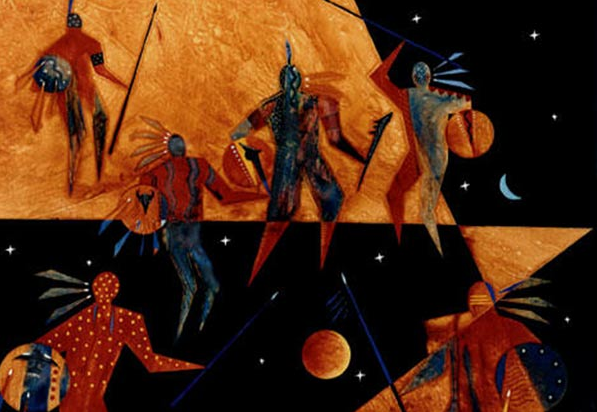 Hopi Prophecy and the End of the Fourth World Part 1 is published on Ancient-Origins.net explaining the culture of prophecy that has enabled them to continue into our time from their deep origins in the past. The information revealed here give credence to the purpose of Prepare for Change Network. Their connection to spirit is nourished daily with a contemplative lifestyle and isolation from the influence of the modern world. They are the model of a successful spiritual community. More than any other tribe in North America, the Hopi Indians have developed according to the dictates and demands of what may be called a legacy of prophecy. The predictions of the life to come do not merely pertain to the Hopi themselves but deal with impending events on a global scale. These prophecies began to be made public shortly before the mid-20th century. The Hopi are an aggregation of clans that came together at the “center-point” (Tuuwanasavi) in northern Arizona during the course of their migrations. Because they are not a monolithic tribe, the sources of their prophecies are fragmentary and multifarious. Part of the lack of narrative clarity also has to do with the secretive nature of the Hopi. These isolated, sedentary farmers living in unpretentious pueblos (basically stone apartment buildings) on the high desert of the American Southwest have looked into the future from their kivas (subterranean, communal prayer-chambers) and have seen some rather disturbing scenarios. Many times they simply do not wish to share these visions with the outside world. Considering the history of exploitation and genocide of Native Americans in general, this is understandable.